What are the damage caps in Texas? If you are injured in an accident that resulted from the negligence of an individual or entity, you can make a claim for compensation in the form of economic and noneconomic damages. Non-economic damages include compensation for the physical, emotional, and mental pain and suffering brought by the injury. It also includes compensation for disfigurement, loss of consortium, loss of enjoyment of life, loss of companionship, reputational injury and other pecuniary losses. • Suits against public entities for injuries resulting from medical malpractice, you can sue for the entire amount of economic damages. However, non-economic damages are capped at $250,000 against doctors and $250,000 against a healthcare provider. Also, damage caps top out at $500,000 for all medical care providers involved. That means the maximum noneconomic damages a person can recover in a medical malpractice suit are $750,000. Recognized in Texas statutes as exemplary damages, punitive damages are damages awarded to punish a person for injuries caused by malice or gross negligence. They are capped at the larger of $200,000 or two times the amount of economic damages, plus an equal amount of non-economic damages up to $750,000. Government entities are largely immune from personal injury liability in Texas. However, on the few occasions that they are open to personal injury liability, damages are capped at $250,000 for a single person and $500,000 for a single event. These are just the broad strokes on damage caps. 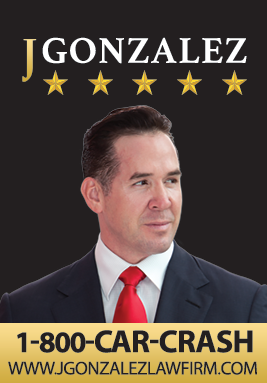 For detailed information, I invite you to schedule a consultation with us at J. Gonzalez Injury Attorneys. Your health and your recovery are your priority. Mine is to fight on your behalf to get you the compensation you need to get you back on your feet.